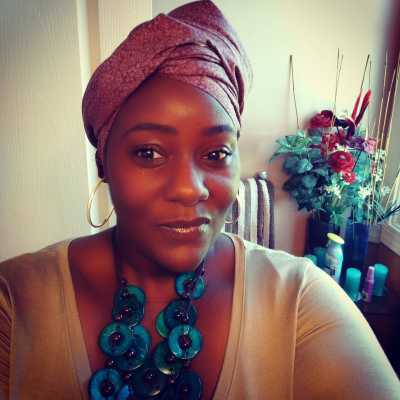 Shaun Jai is a speaker, graphic designer, community event planner, wedding officiant, tree hugger, and water lover that loves to explore life. Raised in Palmer Park, Maryland with two brothers and one sister. My parents allowed and encouraged me to be as free, creative, and adventurous as I wanted to be. My passion for helping the community started at an early age. I created a boys and girls club in my neighborhood, using my father’s old wood to build a clubhouse; it was our safe haven. Not long after my entrepreneur spirit began to grow. I sold newspapers, collected and sold used books, and opened a candy store. One of my biggest accomplishments as a child was receiving the Girl Scouts of America highest award (The Gold Award). From the outside looking in people would say I had an awesome childhood tht would lead to an awesome and productive life. Unfortunately, people in my life had other plans. My first experience with pain began when I was five years old, after being molested by a family member. A year later, an upper classman continued the pain by molesting me a second time, and a few years later, I was molested for the third time by a neighbor. Years later, I experienced multiple rapes and sexual assaults. These experiences raised the question in my mind, “why me?”, I began to suffer from depression, anxiety, and thoughts of suicide. Today, I share the message “From Pain to POWER “encouraging others to heal themselves from past trauma. Who is Shaun Jai? I am proud to say despite all the pain that I have experienced, I am a sister, daughter, mother, entrepreneur, speaker, community activist, a voice for the voiceless, and most importantly I am FREE - Free to be my authentic self!! !